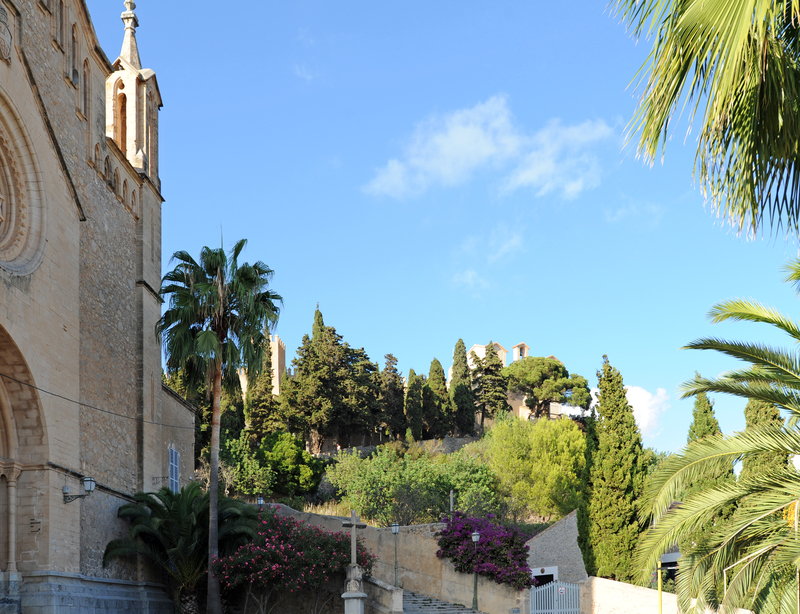 The Sanctuary St. Saviour (Santuari de Sant Salvador / Santuario de San Salvador) is a sanctuary surrounded by a fortified wall, which stands above the town of Artà in the northeast of the island of Mallorca. The sanctuary - which originated in the thirteenth century - was long a refuge against the incursions of the Barbary pirates. 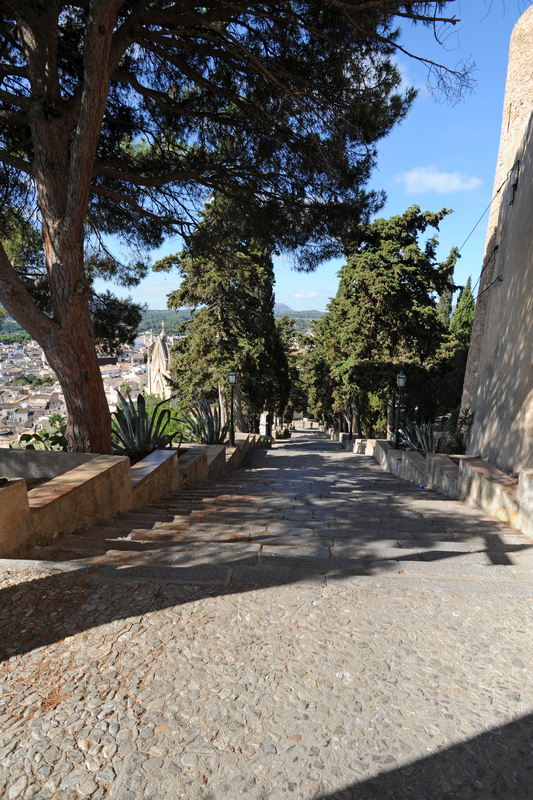 It is now the spiritual center of the city of Artà, a Marian pilgrimage site and a tourist site that offers a magnificent view of Artà and its surroundings. 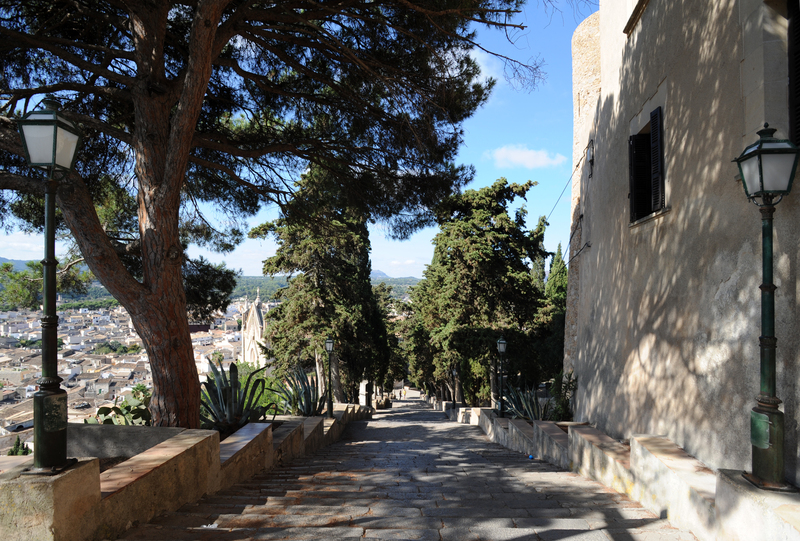 The name of the Almudaina of Artà, given the fortified Sant Salvador, comes from the Arabic "al-mudayna" (قلعة), which means "fortress" or "citadel" ("Ciutadella" in Catalan). 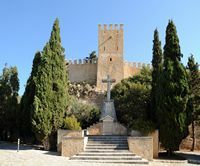 The Sanctuary of Sant Salvador is located at the top of the Puig de Sant Salvador, or Calvary San Salvador, a hill which rises 182 meters above the city of Artà. 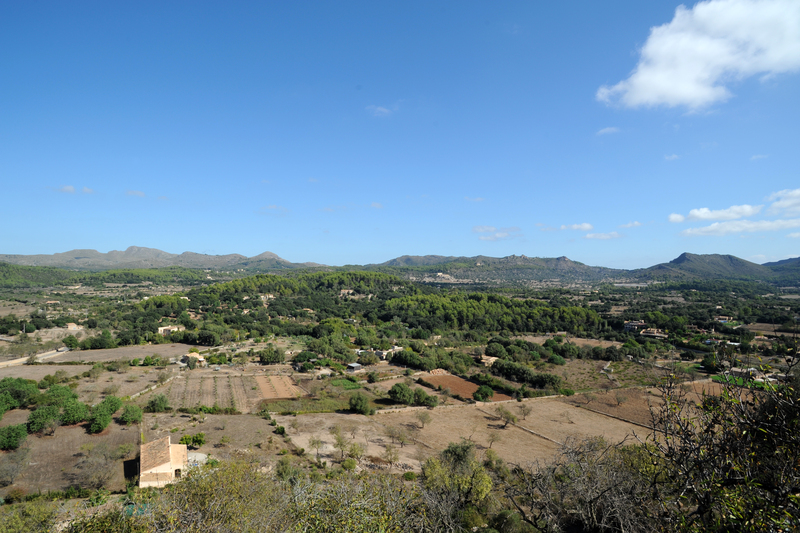 It is located in the geographic center of the Artà peninsula in the north-east of the island of Majorca, and this has made ​​it a strategic position during different historical eras. The sanctuary dominates the city of Artà in the north, from the top of the city, the Church of the Transfiguration, one enters the sanctuary by a staircase of 180 steps. However, a small winding road leads to hop in a car. Because of its height, the sanctuary offers a panoramic view of the entire region, on the coast and hills, orchards of almond, fig and olive groves of the valley and up to the Tower of Canyamel with, in the background, bare and rugged peaks of the Serra de Llevant. The site of San Salvador is an architectural complex that includes a walled enclosure containing an oval field of 93 m by 24 m, and an area of ​​2 000 m². Inside the enclosure there is the shrine of Sant Salvador itself, home of the Donat, that is to say the person responsible for the maintenance of the whole, and a cistern dating from the early the seventeenth century. The main tower of the fortified walls, dedicated to St. Michael, is a tower attached to the wall. At the foot of the Tour St. Michael (Torre de Sant Miquel / Torre de San Miguel) is a monument dedicated to the victims of the civil war ("A totes les victimes de la Guerra Civil"), which dates from the mid twentieth century. It is believed that the fortress on the hill town of Artà has its origins before the Moorish occupation of the island of Majorca, in the Roman period, from the second century BC. However, construction of this time, no archaeological evidence has been found. 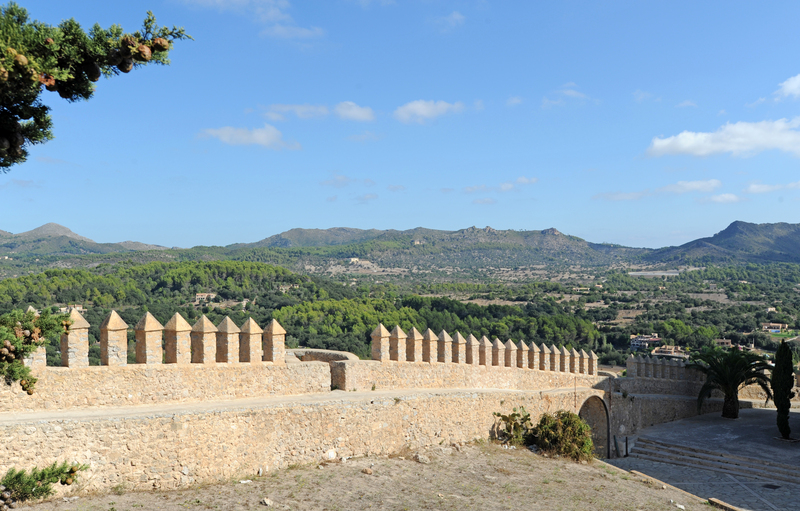 During the Muslim, the tenth to the thirteenth century occupation, there was on the hill, a fortress, which is called the Almudaina of Artà, which defend the region Yartan (Artà) aimed for. Inside Almudaina was a small mosque. The Catalan conquest of Mallorca by Jaume I ended by taking the last corner Muslims in the mountains of Artà March 31, 1230, Palm Sunday. Jaume I the Conqueror lived in the citadel of Almudaina, a chapel was built on the site of the mosque. 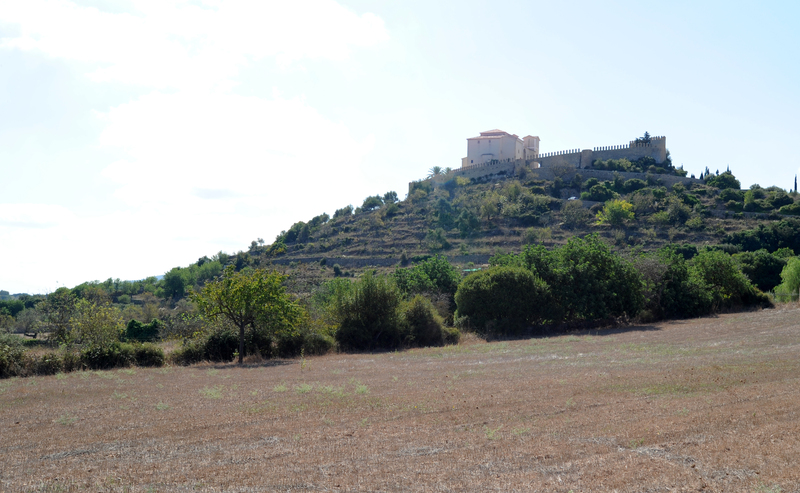 The king gave the hill of Sant Salvador to the monastery of Premonstratensian canons of Bellpuig, located 3 km south-west of Artà. In the sixteenth century, the fortress was strengthened to provide shelter to the villagers during the frequent attacks of the Barbary pirates. Much of today’s fortress - the wall of a meter thick with its nine towers - is the result of restoration work carried out in the late 1960s, in 1967, the entire chamber was restored at the initiative of the Society of Friends of the Castles (Sociedad de Amigos de los Castillos). A new tower, the main tower of Sant Miquel, was built and slots placed around the perimeter. 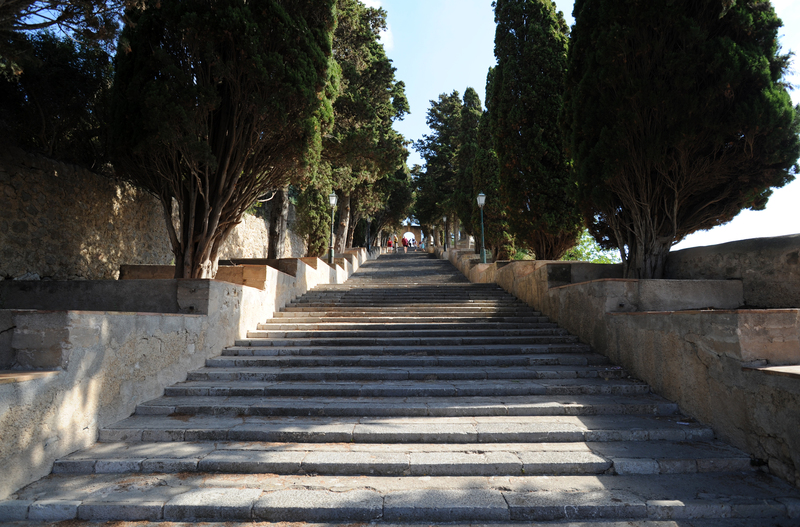 During the reconstruction of the sanctuary, from 1825 to 1832 a monumental stairway of 180 steps was built, the Way of the Cross (via crucis) - which ends pilgrimages - connects the parish church of the Transfiguration of the Lord (Esglèsia Parochial de la Transfiguració del Senyor) the sanctuary. It is bordered by cypress trees. At the location of Sant Salvador sanctuary would have existed in the ninth century, a small chapel. During the Moorish occupation, it was replaced by a small mosque. After the reconquest of Mallorca, Jaume I built a church which was consecrated in 1248, making it one of the oldest buildings on the island. The church is dedicated to the Mare de Déu de Sant Salvador is the patron saint of Artà since 1922. The church of Sant Salvador was the parish church of the parish until the construction in 1573, the Church of the Transfiguration, located below. 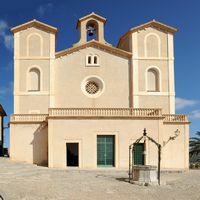 When a terrible epidemic of bubonic plague that hit the region of Artà, Capdepera and Son Servera during the summer of 1820, the St. Saviour church was used as a hospital to prevent the spread of plague, local authorities decided to burn the building dating from the thirteenth century. The epidemic killed more than 1,200 victims. The reconstruction of the temple began in 1825 and the new church was consecrated in 1832, the two towers that flank were not completed until the late nineteenth century. The new sanctuary - rather banal - preserves the original Latin cross without apse of the church up the thirteenth century, but by adopting an ornamental Renaissance style. We notice the beautiful porch, finely decorated with scenes of the Last Supper. The ceiling of the nave has a barrel vault, the panels supporting the dome are decorated with frescoes in which the four Evangelists are represented, the dome, which is the Holy Glory, was painted by the artist Salvador Torres in 1892. The current appearance of the sanctuary is the result of a restoration done in 1971. 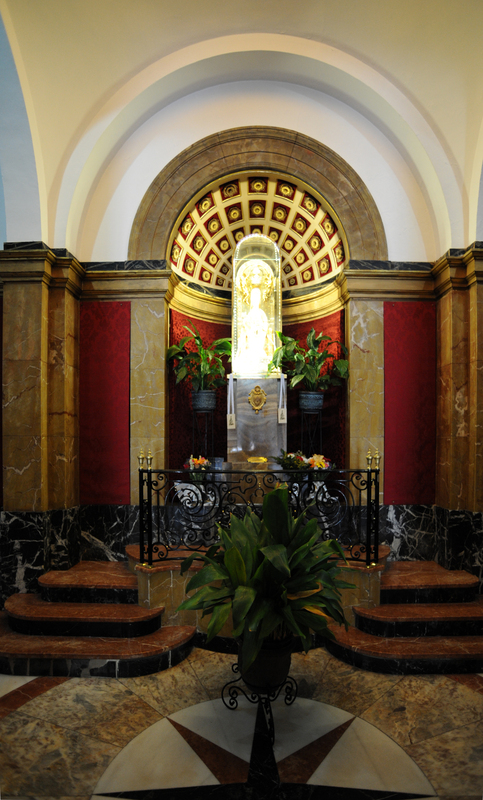 Inside the sanctuary of San Salvador has a small effigy of the Virgin Mary with the child Jesus sitting on her lap. The Virgin and Child, which is in the choir behind the altar, is a Romanesque sculpture in polychrome wood style. According to tradition, the statue was brought from Catalonia Majorca by Premonstratensian canons who accompanied King Jaume I, during the reconquest in 1229. It is considered one of the oldest Romanesque sculptures of Mallorca. During the fire that followed the plague of 1820, the Virgin of San Salvador was kept at the Premonstratensian monastery of St. Mary of Bellpuig. At the foot of the fortress walls, is a luxury hotel, small but renowned for its refinement and for its cuisine, the Hotel Sant Salvador, housed in a former palace, the Ca’n Epifanio.